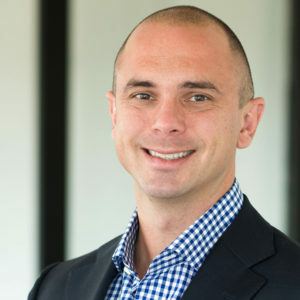 Drew joined Patterson in 2018 to lead the firm’s expansion into the Charlotte market. He has extensive real estate capital markets experience having been involved in more than 110 equity and debt transactions totaling $8 billion. Drew’s experience working as both a lender and equity intermediary allow him to offer a full capital stack perspective when approaching real estate projects. Prior to joining Patterson, Drew was a Senior Vice President with real estate investment banking firm Eastdil Secured. While at Eastdil Secured, Drew was responsible for equity sale and joint venture transactions of institutional commercial real estate assets located in major Southeastern markets including: Atlanta, Charlotte, Raleigh, Nashville, Tampa, Orlando, Ft. Lauderdale, West Palm Beach and Miami. During Drew’s seven-year tenure at Eastdil Secured, he completed $7.3 billion of transactions involving office, retail, medical office, hospital, and land/master-planned community property types. Prior to Eastdil Secured, Drew spent three years at Prudential Mortgage Capital Corporation’s securitized debt capital markets team where he was involved in the execution of more than 50 debt transactions involving office, industrial, multifamily, hospitality and self-storage properties. Drew, his wife Diana and their 1 ½ year old yellow lab puppy, Baker, live in the Dilworth neighborhood of Charlotte. After spending the past 15 years in Atlanta, Seattle and Denver, Drew is excited to return to North Carolina. Drew spent the past several years pursuing high altitude glacier mountaineering which led him to the Alaskan Range, Pacific Northwest volcanoes, Ecuadorian Andes and Patagonia. Drew’s notable ascents/summits include: Denali (Alaska), Cotopaxi (Ecuador), Antisana (Ecuador), Chimborazo (Ecuador), Mt. Baker (Washington), Mt. Hood (Oregon) and Mt. Adams (Oregon).